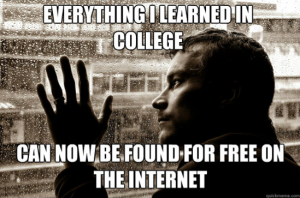 College Education Online for FREE! Panacea is a registered non-profit organisation, dedicated to educational study and research. The Panacea University is the world’s first open source online university. Select a tutorial from the menu to the left. Tracks are series of courses grouped to help you master a topic or language. Choose one to start learning! Educators, need a resource for setting up a course online? Zero Emissions Research and Initiatives (ZERI) is a global network of creative minds, seeking solutions to the ever increasing problems of the world. Take part in their free educational course.